In Comfort in Silence, three friends since high school, have spent their lives wearing masks to run and hide from their inner fears and insecurities (fighting adulthood every step of the way). Now, in their forties, they are faced with the decision of finally growing up and embracing a path of love, forgiveness and true happiness. Patty, Stevie, and Mary have been best friends forever. They have shared everything with each other but, no matter how well you think you know a person… you never really knows what goes on behind closed doors. Each have battled, suppressed, or just ignored issues that have consciously or subconsciously held them back from living a complete, loving, fulfilled lives … instead of the superficial, alcohol-induced existences they have come to accept. It all began when Patty went to a shrink. Sargent Theatre, 314 West 54th Street, between 8th and 9th avenues in NYC. 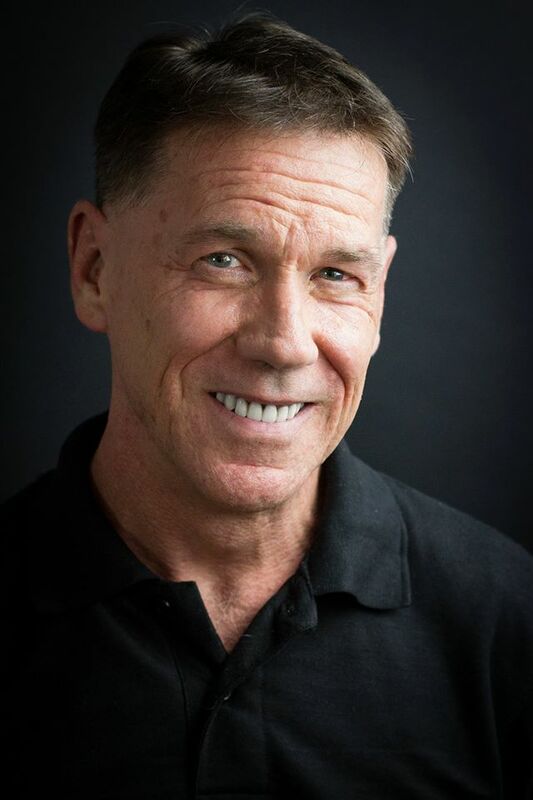 As the Artistic Director of the newly formed StreetLamp Productions, Timothy is proud and excited to have his play, Comfort In Silence (A Coming of Age for Forty Somethings), be the first stage production for StreetLamp Productions and the first to have one of his works produced in New York City. Timothy worked in several regional Theaters including Great Lakes Shakespeare, Milwaukee Repertory Theater, and The National Theater of the Deaf. In this past year he has performed with The New York Deaf Theater, Venus/Adonis Theater Festival, and Inwood Shakespeare Festival (under the direction of Ted Minos in Hamlet). Timothy has just completed shooting a Feature Film, Afterglow directed by Benjamin Marquis, and this past October performed at The Theater Center here in NYC in the Wanderer’s Game. This September you can see Timothy in the Discovery ID Channel in their TV series Mind of a Murderer. Timothy Patrick Walsh: As a playwright, most of my ideas or inspirations come from simple observations on everyday life. I can hear a line in a song or piece of poetry and that will just spark some sort of creative juice and I’ll just expand on it, relating that spark to my own life experiences and then formulating a plot line supporting the original intent. I usually have an idea or character and I know how I want it to end up so it’s just a matter of creating a beginning and a journey to reach that ending. In this particular process, I was always interested in the connection between emotions and movement. So many of us hold our emotions deep inside locked away and it becomes very difficult to let those emotions see the light of day. I had an experience in a dance class where I had to choreograph a solo dance piece for myself to perform. During the final performance I became overwhelmed with emotions that just came to the surface and at the end I was a ball of tears…So, I knew I wanted to create a character who had a difficult time expressing himself emotionally but, if he wanted to grow and have a complete fulfilling life, he needed to find a way to that would allow him to finally let him release and deal with all the baggage he has carried around since childhood. I have studied American Sign Language (ASL) and have performed with The National Theatre of the Deaf and with the New York Deaf Theatre (based here in NYC) and I have found the language very expressive that uses the whole body, not just a series of hand movements. So I thought, it would be a great idea to incorporate ASL and use this as a major tool in allowing a character to free himself of all the emotional blockage that have been holding him back throughout his entire life. For this particular project, Comfort in Silence (A Coming of Age Story for Forty Somethings), my inspiration came about while on a road trip with a childhood friend of mine (at the time we were in our Mid 40’s) and we were talking about one of our other friends, who also grew up with us. This mutual friend was always smiling, making others laugh, fun…just a joy to be around. Through our conversation, I learned of emotional and some physical abuse that she endured growing up. I was shocked…had absolutely no idea what was going on behind closed doors. And it got me realizing that none of us know what goes on behind closed doors…As a result we create a persona that we show the public, a persona that hides the pain (emotional or physical) and we begin the process of shutting ourselves off from our true emotions, creating masks to hide behind. This affects our relationships with family, friends, work, achieving our goals…and most of all, it affects our relationship with ourselves. So I wanted to create a piece where the main characters, best friends since childhood, discover that they really didn’t know what was going on behind closed doors and through time and conversations they learn of each other’s pain and the reasons why their own walls were built to keep their own personal pains hidden. The main character had a very traumatic childhood and has never come to terms with what happened to him. Through his own path of healing, he helps the others heal and begin to take steps to have a more fulfilling life experience. Walsh: I think what makes this particular piece different or special is the incorporation of ASL and having one of the main characters Deaf. This isn’t a ‘Deaf’ play or deal with the Deaf Culture and how it’s community face and overcome obstacles in a Hearing World. One of the characters just happens to be Deaf and the others need to learn his language to be able to communicate with him. Expanding on that, The Deaf character has lived his life and has worked through whatever emotional anchors have held him down. He becomes the ‘Voice’ of reason and maturity…he has ‘come of age’ by the time he becomes involved with the others. And his sign language, ASL, becomes a way of helping the main character to unlock the hidden barriers that have been holding him back. Walsh: I became aware of how judgemental of other people I can be. Realizing that, we all have a past, a history, experiences that have shaped and made us who we are. And, even though it’s a cliché, until you walk in another’s shoes, you truly have no idea of a person’s true Spirit. Be more accepting of other’s, no matter how challenging, and strive to discover and live your authentic self. Walsh: This has been a very interesting and educating process. I feel very excited to be part of this production. Not only as the playwright but also as an actor in the show and as Producer. It’s great and exciting but very challenging to have so many hats. I have written other pieces before but never had them produced on this level..I’ve never Produced before, I’m always on the acting end, so I’m learning a lot on the business end. One piece of advice that I would give to young/new playwrights once you have the play written and complete…think again…it is not finished…before you have your play Produced…Workshop, Workshop, Workshop it. Hear your words out loud over and over again. From Page to Stage…your piece can have many, many, many changes. Walsh: My ultimate goal for this piece, after it closes and I have time to digest the whole experience, is to enter it into some festivals, get it published and use it as a great learning experience for when I start my next project. Walsh: I think they will enjoy the relationships between each of the characters and enjoy the humor in the play while dealing with some very dark themes. Walsh: I’m writing two new original plays (one is a musical), a Screenplay, and working on an idea for a television series….and, of course, my main love, Acting.